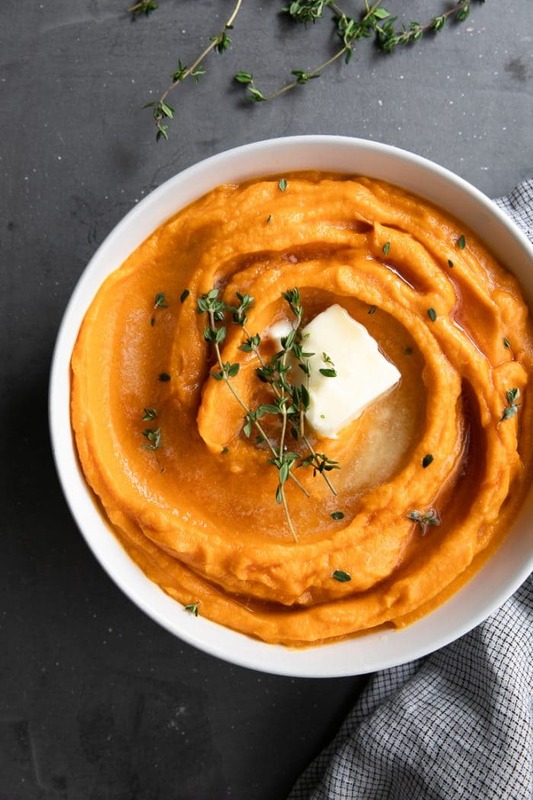 Made with delicious baked sweet potato, butternut squash, and hints of maple syrup, these smooth and creamy Healthy Mashed Sweet Potatoes are the perfect complement to any lunch or dinner recipe and an easy vegetarian and gluten-free holiday side dish. 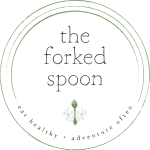 This is, hands down, the BEST Mashed Sweet Potato Recipe I have EVER tasted. Before getting too sidetracked by the fact that I added butternut squash to this recipe, don’t worry. You can totally double the sweet potatoes and skip the squash. 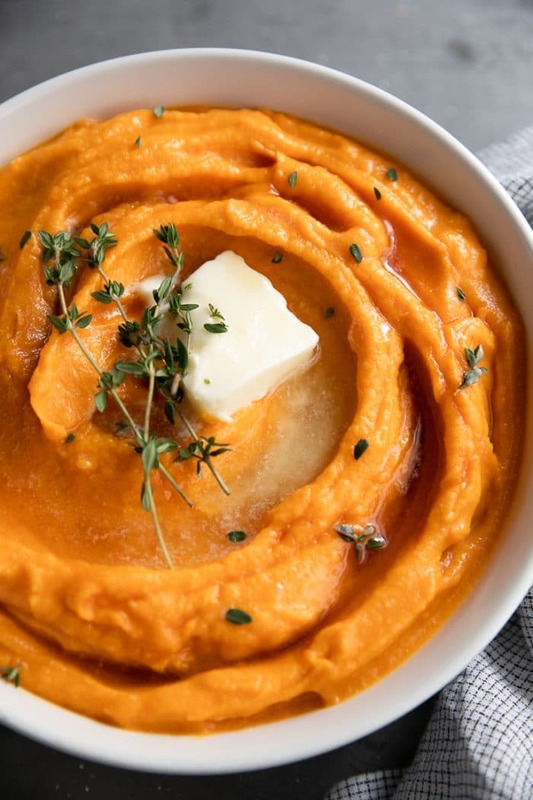 There is more than one right way to make mashed sweet potatoes. Some people boil their potatoes, while other people bake them. In this recipe, I have chosen to bake my sweet potatoes. It’s fast, easy, and the result is always fantastic. Plus, you have the option to puree with the skin or without. Basically, it leaves you with options and options are my favorite. As for the butternut squash? I steamed the butternut squash. Why? It’s easy. Plus, healthy. 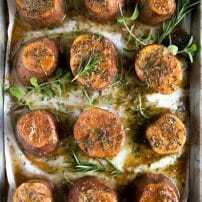 Roasting is a delicious alternative but it would require additional olive oil (if you prefer to roast your butternut squash follow this guide). Can you boil the sweet potatoes? Yes! In fact, I’m going to guess that this is probably how many people prepare their mashed sweet potatoes. Sweet potatoes need approximately 15-20 minutes to boil. Time will vary depending on how large or how small the sweet potatoes were chopped. To test if the potatoes are ready, use a slotted spoon to remove one piece from the pot. Pierce with a fork. If it easily slides in and out, the potatoes are fully cooked and ready to mash. This method is faster than baking whole sweet potatoes and perfect whenever you want mashed sweet potatoes in a hurry. However, baked sweet potatoes taste better. Prepare the vegetables. Prepare the sweet potatoes. Wash and scrub each sweet potato and dry thoroughly. Use a knife or a fork, stab each sweet potato at least 6-7 times (this will vary depending on the size of your potato). Meanwhile, peel, seed, and chop your butternut squash into large cubes for steaming. If you prefer not to use butternut squash, simply double the number of sweet potatoes and omit the butternut squash. Preheat and boil. Preheat oven to 425 degrees F and line a large baking sheet with parchment paper. Transfer the sweet potatoes to the parchment-lined baking sheet. Meanwhile, add a steamer basket to a medium pot filled with approximately 1-2 inches of water. Transfer the chopped butternut squash to the steamer basket, cover, and bring to a boil. Bake and Steam. Transfer potatoes to the oven and bake for approximately 30 minutes. Rotate the pan 180 degrees to ensure even cooking and bake for an additional 15-30 minutes, or until you see some of the natural sugars have started to caramelize and a fork or knife is easily inserted into the thickest part of the potato. Meanwhile, steam the butternut squash for approximately 15-20 minutes, or until fork tender. Puree. Once the butternut squash has finished steaming, transfer to a large blender. Remove the sweet potato from the oven and allow to rest for 5 minutes before handling. Slice the potatoes in half and carefully peel the skin away from the soft inside. Transfer the inside of sweet potato to the blender with the cooked butternut squash. * Add the milk and puree until smooth and creamy. Season and serve. 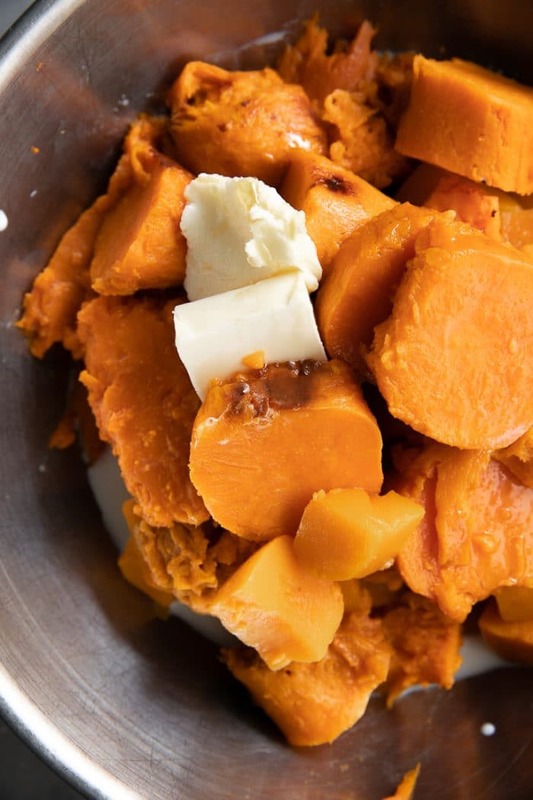 Transfer the creamy mashed sweet potatoes to a large mixing bowl. Melt in the butter and stir in maple syrup to taste. Season with salt, to taste, and garnish with fresh thyme, if desired. Can Mashed Sweet Potatoes be Made Ahead of Time? Yes, absolutely. To make Mashed Sweet Potatoes ahead of time follow steps 1 through 4 (wash, bake, boil, peel, mash, puree) however, wait to add the butter and maple syrup. Transfer the prepared mashed sweet potatoes in a large microwave-safe container (glass is best) and store in the refrigerator for up to two days. When ready to prepare, reheat until warm in the microwave, adding butter and maple syrup, to taste. What is the best way to make Mashed Sweet Potatoes creamy? There are several ways to make sweet potatoes smooth and creamy- by using a potato masher, electric hand blender, or, a blender. 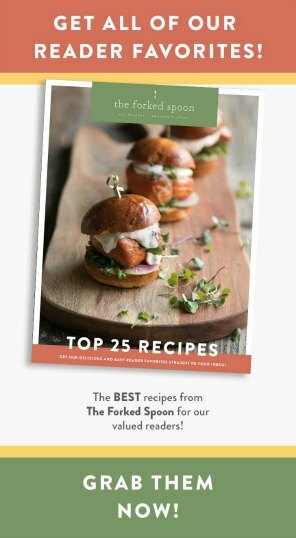 I tried every single one of these methods on this recipe and only one method provided the super creamy mash/puree that I was looking for. The winner? Blend your potatoes in a blender. Now, if I hadn’t added butternut squash, the electric hand blender would have worked just as fine. But, butternut squash is stringier and requires a bit more blending. My other bit of advice for super creamy mashed potatoes? Thoroughly drain the water. If you boil your potatoes (or butternut squash) remove as much water as possible. Water will not make fluffy mashed sweet potatoes. Add some milk or cream. You don’t need a lot, but a splash or two adds great flavor and creaminess. How to reheat Mashed Sweet Potatoes? The microwave. I recommend reheating in a glass container covered (not sealed) with a lid. Heat at 30-second intervals, stirring after each. Some people say that you can place the mashed sweet potatoes in a ziplock bag and submerge in a pot of boiling water, but I do not recommend this. It is never a good idea to reheat food in plastic. Can you mash sweet potatoes with the skin on? This is entirely based on personal preference. The skin of sweet potatoes is delicious and healthy and packed full of vitamins and minerals. 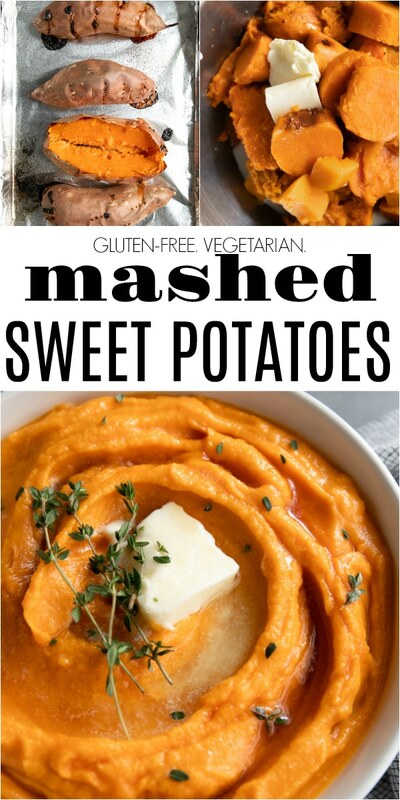 If you try making these Healthy Mashed Sweet Potatoes, please leave me a comment and let me know how it turned out! I always love to hear your thoughts. 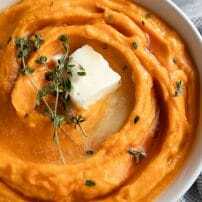 DON’T FORGET TO PIN AND SHARE THIS HEALTHY MASHED SWEET POTATO RECIPE AND GUIDE FOR AN EASY AND FLAVORFUL DINNER OR HOLIDAY SIDE DISH. 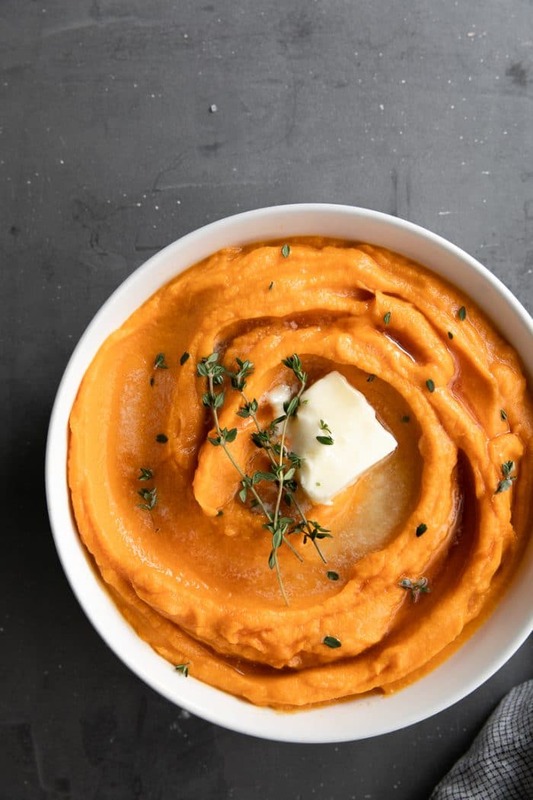 Super creamy Healthy Mashed Sweet Potatoes are the perfect complement to any lunch or dinner recipe and an easy vegetarian and gluten-free holiday side dish. Prepare the vegetables. Prepare the sweet potatoes. Wash and scrub each sweet potato and dry thoroughly. Transfer to the baking sheet and, using a knife or a fork, stab each sweet potato at least 6-7 times (this will vary depending on the size of your potato). Peel, seed, and chop your butternut squash into large cubes. Preheat and boil. Preheat oven to 425 degrees F and line a large baking sheet with parchment paper. Transfer sweet potatoes to the parchment-lined baking sheet. Meanwhile, add a steamer basket to a medium pot filled with approximately 1-2 inches of water. Transfer the chopped butternut squash to the steamer basket, cover, and bring to a boil. Bake and Steam. Transfer potatoes to the oven and bake for approximately 30 minutes. Rotate the pan 180 degrees to ensure even cooking and bake for an additional 15-30 minutes, or until you see some of the natural sugars have started to caramelize and a fork or knife is easily inserted into the thickest part of the potato. Meanwhile, steam the butternut squash for approximately 15 minutes, or until fork tender. Season and serve. 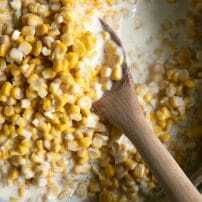 Transfer the creamy mashed sweet potatoes to a large mixing bowl. Melt in the butter and stir in the maple syrup. Season with salt, to taste, and garnish with fresh thyme, if desired. Enjoy! Easily replace the butternut squash with 2 pounds sweet potato for a total of 4 pounds sweet potatoes. 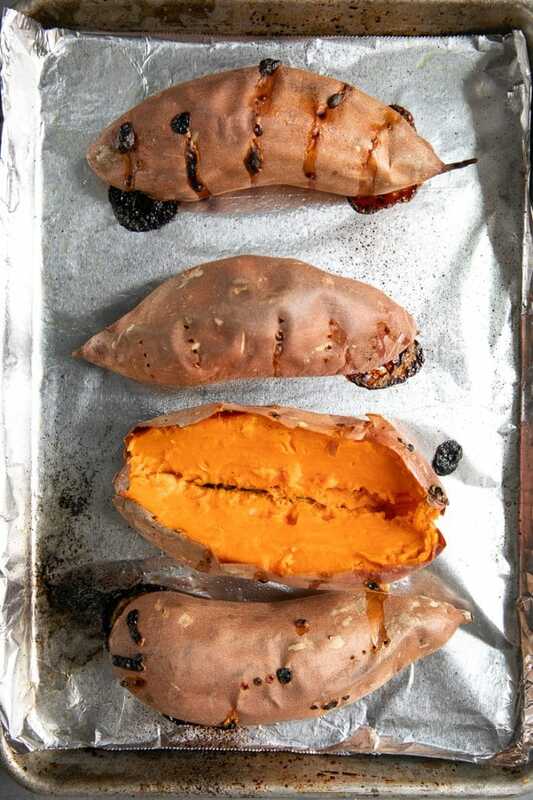 If you love the skin of baked sweet potatoes, feel free puree the skin with the rest of the sweet potato and butternut squash. 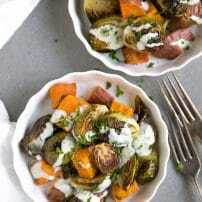 Otherwise, save the skin and enjoy topped with your favorite meat and a dollop of sour cream for an easy, healthy lunch!